It's spring cleaning time at Downtime Monkey which, for us, means bug-fixing. In our last post we described how we fixed an edge-case bug which showed up in rare circumstances. It was brought to our attention by one of our new users that they couldn't add some URLs as monitors. The common theme was that the URLs all had trailing slashes, i.e. https://example.com/. The other commonality was that these trailing slashes were forced. The webpage wouldn't show without the slash, instead the user was redirected to the URL with the slash. When you add a new website monitor, Downtime Monkey first checks that the URL is valid and then visits the site to check that it is up and doesn't redirect to another webpage. This prevents people adding monitors with typos and helps keep Downtime Monkey's monitoring efficient. We also check that a new monitor isn't a duplicate. To do this we stripped trailing slashes - the logic being that http://example.com and http://example.com/ are effectively duplicate webpages. However, this proved a little overzealous because sites with forced trailing slashes failed the redirect validation... and therefore couldn't be added as monitors. 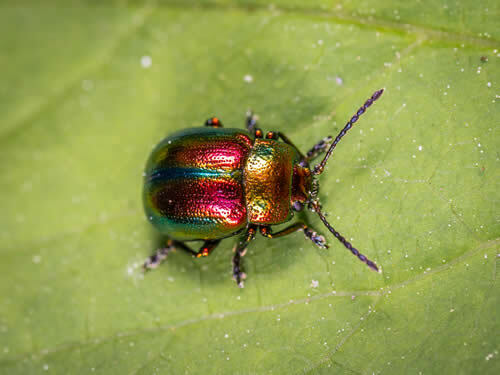 Although websites with forced trailing slashes are not very common, there are plenty of them out there and we should have picked-up on this earlier. Also, there is no-doubt that we would have missed this for longer if it hadn't been brought to our attention - so a big thank you to the user who let us know! 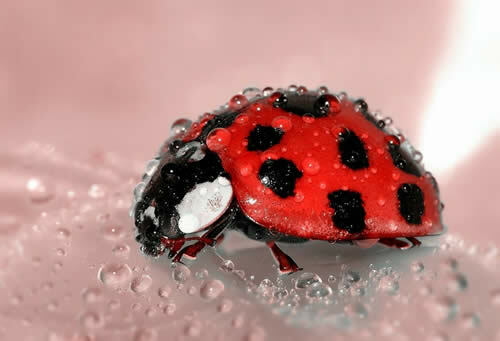 As is the case with a lot of bugs: once we were aware of it, the bug was easily fixed. We simply don't strip trailing slashes as part of URL validation any more! There have been record number of visitors to the Downtime Monkey website 3 months running and this is great - thanks to everyone who is using our service! Users from some countries noticed a warning output at the top of the home page the first time they visited the site. The error message was along the lines: "IP API failed to open stream - too many requests" but with some programming jargon thrown in. Since Downtime Monkey is a worldwide service we deliver different content to users in each country. For example, users in the United States want to see prices in US$, users in Europe want to see prices in € and users in Bermuda want to see prices in BD$ while sipping drinks at the beach. To deliver the correct content the site checks the IP address of the user, uses an API to find their country and serves them the correct page. Occasionally though, our first choice of API is busy. No problem - in this case we have a fallback (and a fallback to the fallback) where another API is used. However, what we didn't notice was that, under some circumstances, when the fallback was needed a warning was output to the page. Obviously this didn't give the best user experience - the warning wouldn't make much sense to anyone who isn't a web developer and the site was working fine so no need for a warning at all! It was missed because the warning was only seen by users in a few countries (it was specific to certain country pages), only when the API fallback was needed and only the first time a user visited the website. Once we were aware of the bug it was easily fixed - no more unnecessary error messages. We've just rolled out another major new feature - website content monitoring. If the content of your website changes unexpectedly, Downtime Monkey will alert you. A request is sent to the webpage and the source code of the webpage is checked to make sure that it contains a keyword phrase that you have supplied. If the phrase isn't found then the site will be recorded as "down: keywords not found" and alerts will be sent. Most of the time when a website goes down the result is an http error. For example, "404 Page Not Found" or "503 Service Unavailable". These errors are caught by Downtime Monkey's downtime monitoring - no problem! However, sometimes when a site goes down an http error is not produced. Instead the webpage is served with a normal response of "200 OK" and the error is printed on the otherwise blank page. These are just a couple of examples from a multitude of possible on-page errors - content monitoring will catch them all! It's a sad state of affairs but attacks on websites are now an everyday occurrence. Attackers regularly take over sites and replace the page content with their own, often malicious, content. 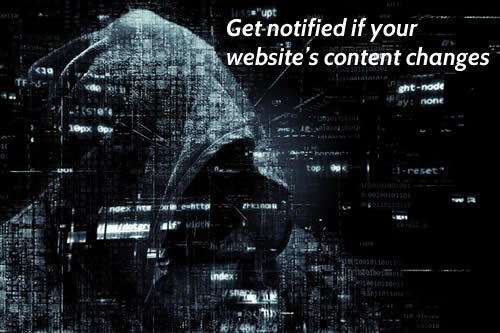 Content monitoring can catch this and send you an alert, so you'll get notified and can restore your website right away. 1) Login to your Downtime Monkey account (content monitoring is a Pro feature so you'll need to be on a Pro Plan). 2) Add a new monitor (skip this step if you want to add content monitoring to an existing monitor). 3) Go to your monitors, scroll to the monitor of your choice and click the monitor settings icon. 4) Select "On" from the "Keyword monitoring on/off" dropdown menu. 5) In the "Keywords" field, input an exact match phrase from your webpage. 5) Click update monitor - that's all! One of the aspects that we spent a lot of time on when developing the feature was minimising the load to your server. 1) Websites are monitored every 3 minutes (as opposed to every minute for downtime monitoring). This reduction in monitoring frequency reduces bandwidth by 1/3. 2) Only the source code (i.e. the text) of the website is downloaded. Images, video and other heavy content is ignored. 3) Where the website server permits, only the first 5KB of the page is accessed. However, not all servers are configured to allow partial page loads but where they do we take advantage of the savings in bandwidth. 4) When the website server doesn't permit partial page loads the page size is limited to a maximum of 50KB. This was a big decision for us as it means that some very heavy webpages won't be able to use this feature. However, we were also aware that we needed to place a limit as some sites have huge pages (over a MB of code) and owners of these sites probably won't want the load on their server to go through the roof. The limit of 50KB corresponds to roughly 50,000 characters of source code and when we surveyed a bunch of websites we found that 96% of sites either used less than this or allowed partial page loads. Alert settings for content monitoring are the same as the settings that are in place for downtime monitoring. 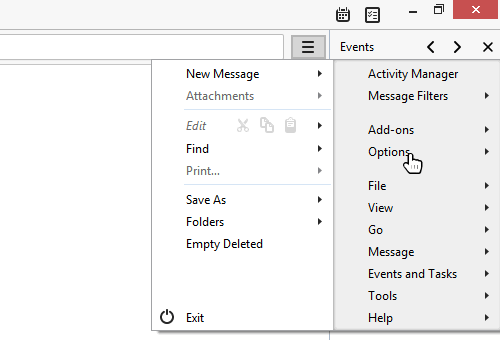 If you already have alerts set to email, SMS or Slack then no need to change anything - you'll receive these alerts for both downtime and content monitoring. Alerts are of the form: "URL is down: keywords don't match" or "URL is up: keywords match" so that you can tell right away that the alert is for content monitoring. Rate limits that you have set for SMS and Slack alerts also apply to content monitoring - if you have a rate limit set the total number of alerts per hour won't exceed this. Custom alert delays (e.g. only send alerts if a site is down for 2 minutes) don't apply to content monitoring. 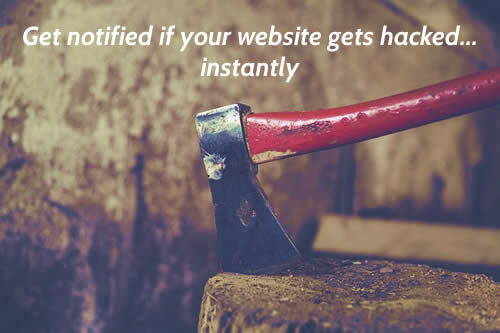 Alerts are sent instantly when a content mismatch is found - this is because content mismatches are an indication of a serious problem that usually doesn't self heal, so you'll get notified ASAP. All content monitoring records are logged and can be viewed on a monitor's stats page, along with the start time, end time, duration and explanation for the event. Content monitoring events aren't included in the overall uptime stats for the site as content monitoring is treated separately from downtime monitoring. This feature is now live and will undergo a short period of Beta testing over the next few weeks. If you have any questions check out the Content Monitoring FAQ. Finally, a big thank you to all the people who submitted feature requests for this - you have really helped us to improve Downtime Monkey! It's a sad state of affairs but attacks on websites are now an everyday occurrence. Attackers regularly to take over sites and replace the page content with their own, often malicious, content. Custom alert delays (e.g. only send alerts if a the site is down for 2 minutes) don't apply to content monitoring. Alerts are sent instantly when it is a content mismatch is found - this is because content mismatches are an indication of a serious problem that usually doesn't self heal, so you'll want notified right ASAP. In a recent blog post we answered the question: Why Whitelist an Email Address? TLDR; "If you expect to receive important emails from a trusted email address it is worth whitelisting the address to make sure that emails won't be accidentally blocked by an overzealous email client." 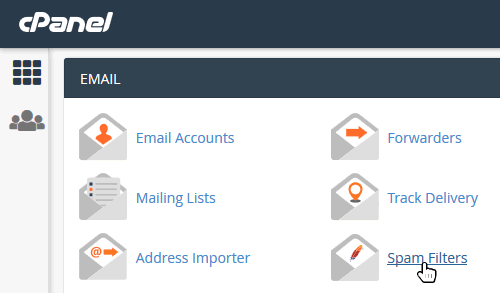 When you manage your own email accounts through cPanel the spam management of messages to these emails is usually handled by Apache SpamAssassin. 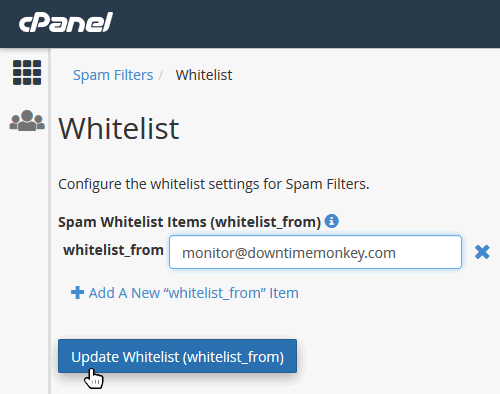 Rather than managing spam settings for each email account individually, the spam settings for all email accounts in the cPanel account are managed together. 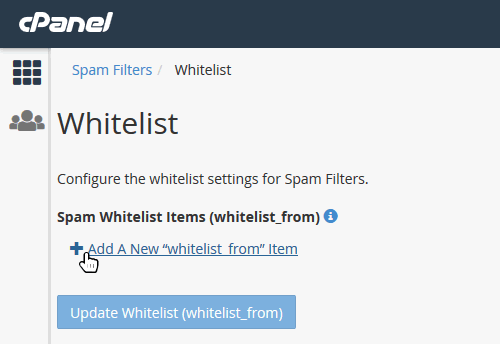 cPanel spam filters allow the use of the wildcards: * and ? * can be used to represent any string of multiple characters and ? to represent any single character. 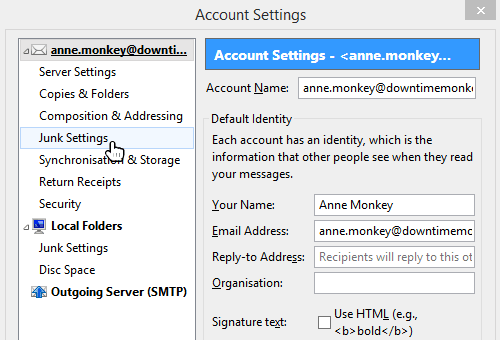 In step 6, if instead of adding monitor@downtimemonkey.com we add *@downtimemonkey.com we would whitelist every email address belonging to downtimemonkey.com. The software review and comparison site CompareCamp recently reviewed Downtime Monkey, and we’re really pleased to have received awards for ‘Great User Experience’ and ‘Rising Star 2018’. The CompareCamp review analyzed several important elements of Downtime Monkey. They considered the main features, ease of use, customer support and value for money. We’re pleased to announce that Downtime Monkey impressed the review experts, with the website monitoring tool receiving an 83% overall rating. It’s great to have our hard work recognized, especially our efforts in delivering an outstanding user experience, which has been a top priority. 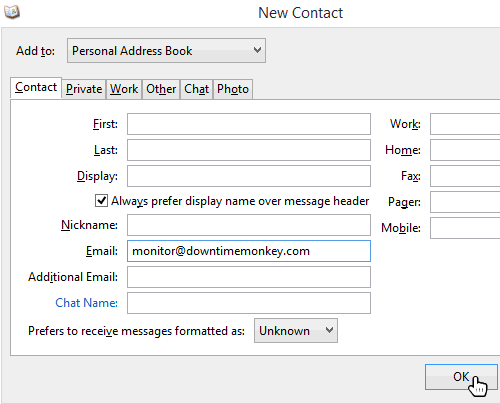 From the start, our aim has always been to make Downtime Monkey incredibly quick and easy to use. This is why we’re proud to be recognized with the Great User Experience award by a notable review platform. The Rising Star 2018 award highlights Downtime Monkey’s achievement in disrupting the website monitoring space last year. This award is also a recommendation from the review site that our app is considered as a reliable monitoring tool for alerting users to all instances of website downtimes. To experience just how easy it is to use, sign up here and start monitoring your websites... in seconds. New year, new feature... and this is a big one: downtime alerts to Slack. As well as getting email and SMS alerts when your websites go down you can now receive alerts straight to your Slack workspace. Slack is a hub developed to make communication between teams easier. It's really popular with web design and development teams. 1) When an alert is sent to Slack everyone on the team who has access to the Slack channel will receive it. 2) Slack is really fast - faster than email. Alerts are received almost instantly after being sent. Choose the Slack channel to receive messages if a website goes down. Receive 'up' messages when a website comes back online. Alert messages can be sent the instant a website is detected as down (default). Alert messages can be scheduled to only be sent if a website stays down for a specific time: 1 minute, 2 minutes, 3 minutes, 5 minutes, 10 minutes, 15 minutes, 30 minutes and 1 hour are the options. Repeat messages can be sent if a website remains down for a specific time: every 10 mins, 20 mins, 30 mins, 1 hour, 2 hours, 3 hours, 6 hours, 12 hours and 24 hours are the options. You can set the maximum number of downtime messages that can be sent per hour. This is really useful for anyone managing lots of sites on the same server - if the server goes down it prevents you being bombarded with hundreds of messages. Note for every 'down' alert sent, you'll always receive an 'up' alert when the website comes back online. Slack alerts are available to everyone who uses Downtime Monkey - both Free and Pro users. Free plan users can monitor up to 60 websites with default settings. Custom alert timing, repeat alerts and rate limiting are advanced features available only to Pro plan users. 1) Login, go to Slack Settings and click on 'Add to Slack'. 2) Select the Slack Channel that you want to receive alert messages to, click 'Authorize'. 3 (Optional) Send a test alert to your Slack by clicking on 'Send Test Message' in Slack Settings - you should receive it in your Slack. 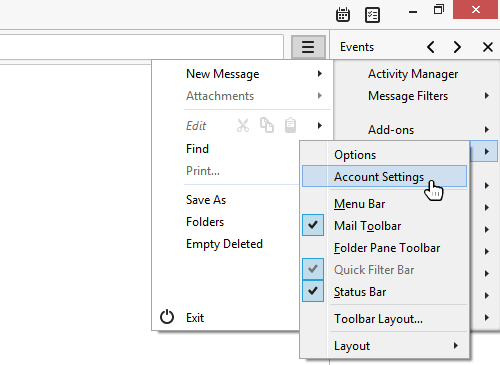 4) Update your monitors - you'll have the option to turn Slack alerts 'on' or 'off' for each monitor. To provide the functionality that enables website downtime alerts to Slack we developed a Slack App and integrated into Downtime Monkey. At present the App is in a short period of beta testing - once this is completed we'll submit for review and endorsement from Slack. The App has now been tested and officially accepted by Slack. If you're interested you can see details in the Slack App Directory: Downtime Monkey Slack App. 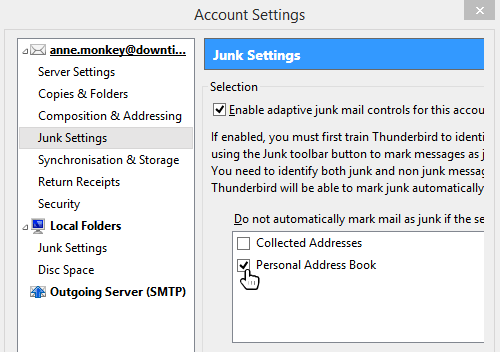 5) In the Junk Settings window there is the option: "Do not mark mail as junk if the sender is in". Make sure that this is checked for 'Personal Address Book', then click 'OK'. UPDATE - 19 Dec 2018 - new graphs now showing response times every minute, hourly average response time and daily average response time! More info here. We've just rolled out a brand new feature: response time monitoring. As well as monitoring websites for uptime and downtime we now monitor the time it takes for each website to respond. 1) If a webpage is slow the experience for the visitor is usually bad. Many users simply leave a site if it doesn't respond within a few seconds. 2) When a site has a high response time it is usually an indication that the server is struggling. Slow response times are really common when servers are overloaded and the information can be used to identify server problems or to explain that there is a problem when contacting a web host. 3) Slow response times and high levels of downtime are linked. A site that has a high response time is more likely to suffer from downtime than a site that is running quickly. 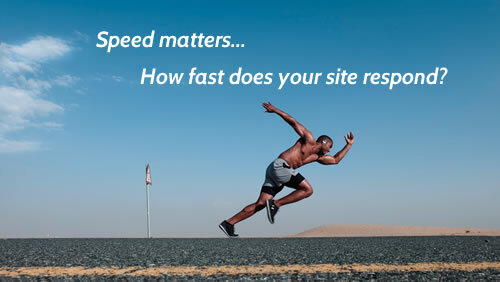 Don't confuse page load time with response time! Page load time is "the time it takes to download and display the entire content of a web page in the browser window". This very much depends on the size of the webpage to be displayed - heavy pages with lots of large images or video will take longer than light pages with just text and a few optimised images. This is not a good value of response time. Response time is sometimes defined as Time To First Byte, i.e. "the time taken to receive the first byte of data" from the server. However, this is not perfect because it is shorter than the time taken for the first byte of data to actually appear in the web browser. We use Time To Receive Headers as response time because this most accurately reflects when website users see a response... headers are received immediately before the first content is loaded to the web browser. You can find more technical detail on defining response time at the end of the post: When is a website considered down as opposed to just slow? All users now have access to response time logs and stats. If you are already a Downtime Monkey user you don't need to do anything - all accounts have been upgraded automatically to include this new feature. Free plan users can see individual response times (monitored every 3 minutes) for the last 24 hours and daily averages of response times for 90 days. Pro Plan users can view individual response times (monitored every minute) for the last 24 hours, for the last 7 days and daily averages of response times for 2 years. This website was running well with responses mostly around 100ms. There were a couple of periods of slightly slower responses but no major problems. This website was running slowly and was frequently overloaded by comment spam bots. Even during better periods the response times were approximately 1-3 seconds and during periods of overloading they rose to more than 15 seconds. This site also experienced regular downtimes with only 82.139% uptime during 7 days! During beta testing it was noted that some of the graphs simply had too many points to be easily read: in the second example above there is a response time shown every minute for 6 days - that's over 8600 points! To make the information easier to view there are now three graphs shown for each monitor: response times every minute for the last 24 hours (unchanged from the first example above), hourly average response times for the last 7 days and daily average response times for up to 2 years. This website was running well with response times consistently around 100ms. The same website as shown in the second example above - it was running slowly and was frequently overloaded by comment spam bots. This website usually ran well for most of the 20 days that it was monitored, with average response times around 120ms. However, over a 5 day period the response times slowed due to higher than normal load on the server. Free plan users can view graphs of response times every 3 minutes for the last 24 hours and daily average response times for up to 90 days. To view the response time graphs and stats simply login, navigate to your website monitors and click on 'view stats' for the website in question. If you don't have an account yet, you can sign-up for a free account and begin monitoring your websites in seconds! Note this feature is in a short period of beta testing and there may some changes as testing progresses.